Steak it to Me | Who's Cooking for Kacey? Most people get excited about going out for a steak dinner. Not me. I want my steak one way, and one way only…cooked by Danny and in the comfort of my own pajamas. Now this is the way to enjoy steak! He has perfected his grill pan methods and it is nice because this means we do not have to wait for pleasant, outdoor weather to enjoy this hearty meal. In fact, it was pouring rain and we were under a tornado watch, and the steak hit the plate without delay. 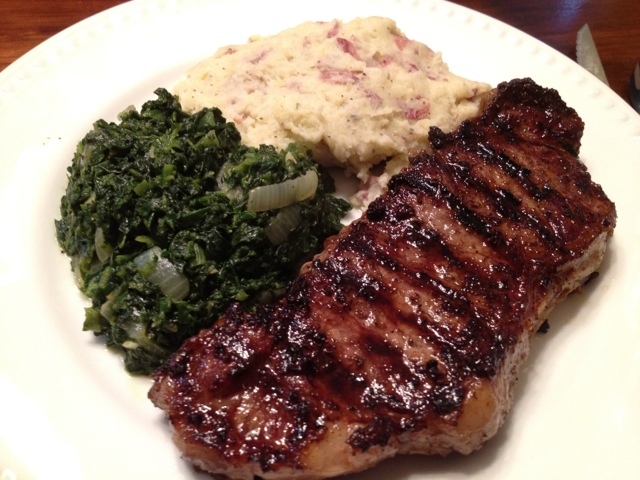 This plating included New York Strip Steaks that were grilled to perfection and perfectly seasoned and served alongside Danny’s Not-So-Creamed Spinach and blue cheese mashed potatoes. The flavors paired perfectly together! This is the kind of meal that tastes so palate-pleasing that you do not want to stop eating. I made my mind up to save half of my steak for lunch the next day, and that was a feat in and of itself. The blue cheese mashed potatoes had a great amount of flavor without being too overpowering. If you like the flavor of creamed spinach, but don’t want it bathing in its own filthe, then you’ll definitely want to whip these up. The interesting thing is that the secret ingredient is found more often on top if my strawberries than mixed in with the greens. 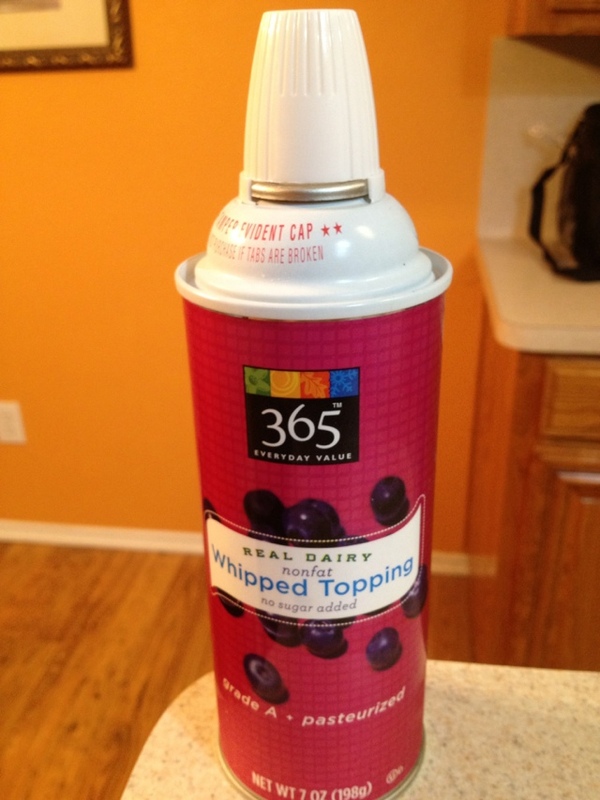 This product is a staple for our house. You can pick up your own bottle at Whole Foods. I love their 365 brand of items. If you ever find yourself roaming through Whole Foods and you feel overwhelmed, reach for any 365 organic product and it’s hard to go wrong. P.S. Danny graciously agreed to share tonight’s recipes. Check them out on my Recipes page (you can access it from the homepage). You’re welcome.